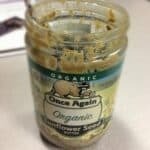 In search of a vegan overnight oats recipe that packs clean ingredients and doesn’t skimp on creamy taste? This Vegan Overnight Oatmeal will quickly become your go-to overnight oats recipe. 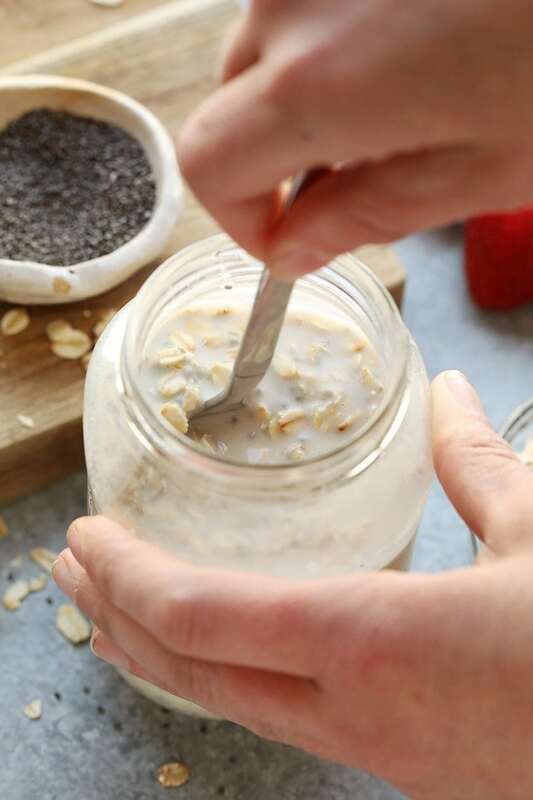 Whip up a batch of these healthy overnight oats today and enjoy it all week long for breakfast (or heck, even enjoy it as a healthy snack!). 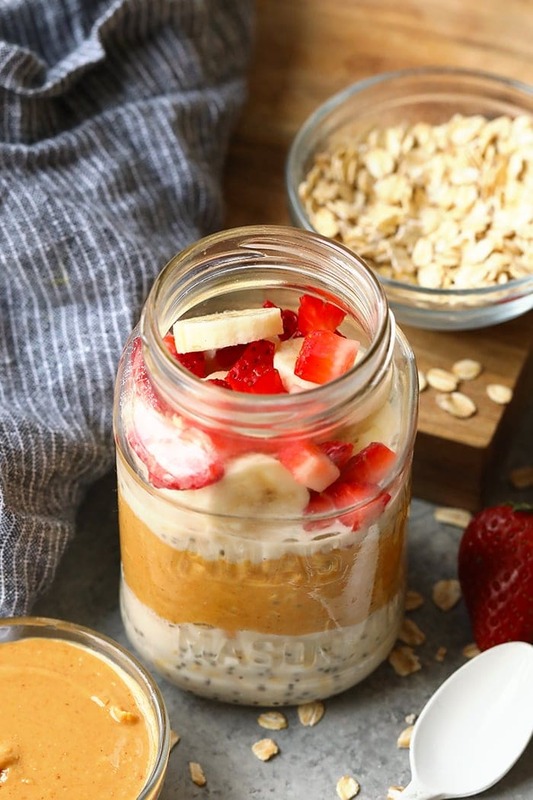 We’re back with another healthy overnight oats recipe, my friends! We know how much you love our MANY other oatmeal and overnight oatmeal varieties, so today we’re comin’ atcha with a classic vegan overnight oats recipe. It’s creamy, protein and fiber filled, and can be meal-prepped and enjoyed all week long. 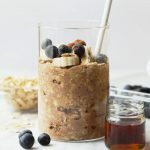 Before we get into this overnight oats recipe itself, let’s chat through a few of the staples that we make sure we always have on hand in the Fit Foodie Finds kitchen. 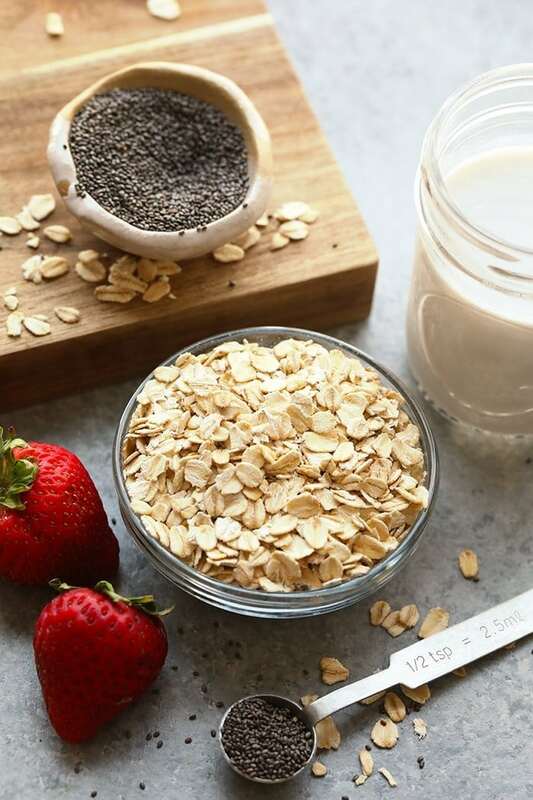 Chia seeds: Chia seeds are not only a great source of antioxidants, fiber, and omega-3’s, but they help thicken your overnight oats and make them extremely creamy and satisfying. Vanilla extract: You can’t go wrong with vanilla. We almost always add a teaspoon of vanilla extract to all overnight oatmeal recipes! 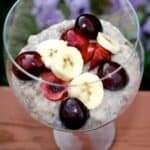 maple syrup: All natural sweeteners are key when it comes to overnight oats. Ditch the table sugar or brown sugar for something more natural like maple syrup. 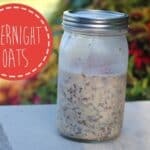 Preparing a batch of overnight oats could not be easier! Once you have all your ingredients on-hand, you can whip up a batch in about 5 minutes, and then place them in the fridge for 2 hours or overnight. 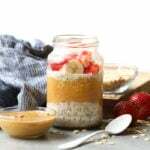 We recommend preparing your overnight oats in the same container (HERE’S our fave for batches of any size) that you’re going to store them in for simple clean up. Whip up a batch before bed the night before you want to enjoy them so you can wake up and have breakfast already made. #yourewelcome. 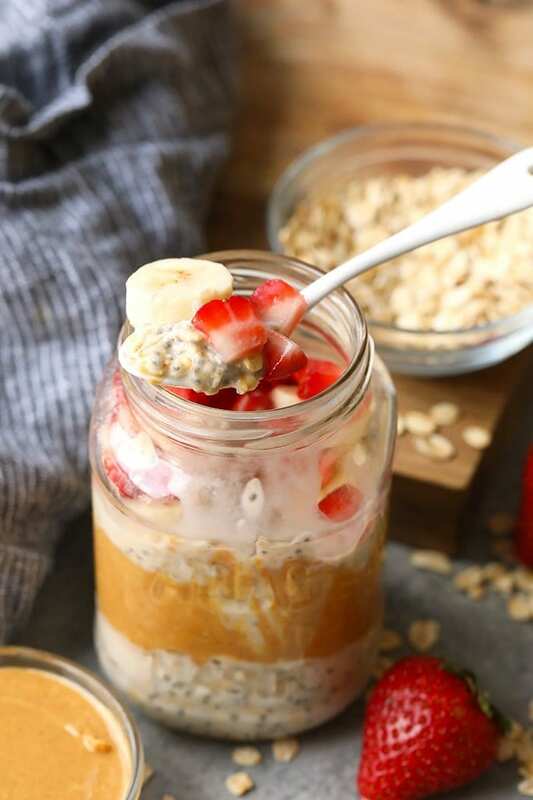 Overnight oats will typically keep in the fridge for 3-5 days (depending on what recipe you use), so we often triple or quadruple an overnight oats recipe to have them on hand for breakfasts and snacks all week long. What are some of your go-to overnight oats toppings? Or need a bit more inspiration? 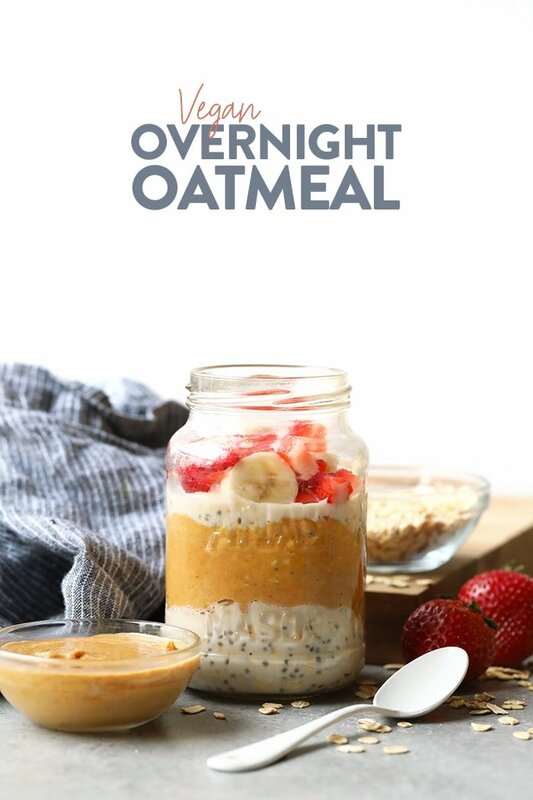 Check out some of our other overnight oats recipes below. Mix all of the ingredients together in a mason jar. Cover jar tightly and shake until combined. Place in the refrigerator for at least 2 hours or overnight. Feel free to add more almond milk before serving for desired consistency.